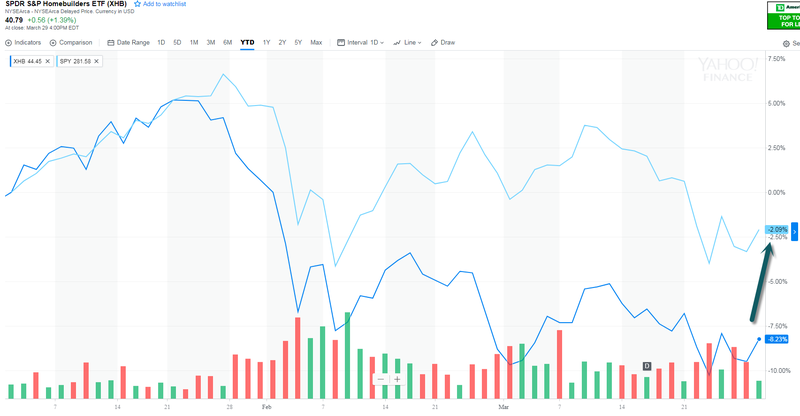 1.Slight Volatility Change 2018 vs. 2017…..S&P 22 1% Moves in First Quarter. 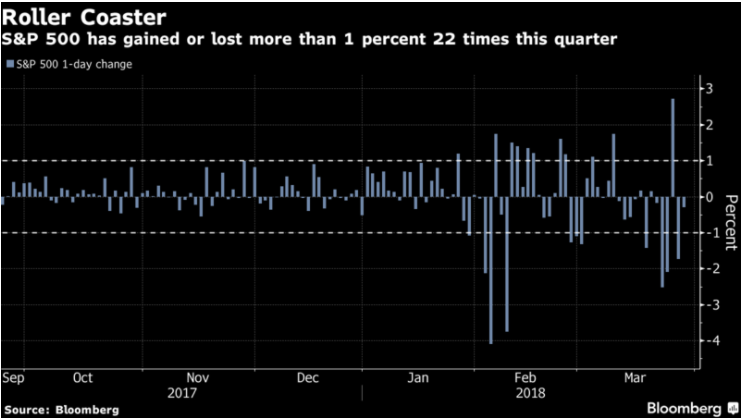 The first quarter of 2018 will mark first time in nine quarters the S&P 500 Index SPX will post a negative return. The SPX finished Q1 with a return of -1.22%. The streak of nine consecutive quarters began back in December 2015 and ended as we closed out 2017. Over that time frame the SPX was able to gain 30.81%. Looking back in history we can see this run ties the fourth longest quarterly streak in history from March 2013 to March 2015. During that time the SPX posted a similar return of +31.78%. The record from December 1994 to June 1998 remains in tact with 14 consecutive positive quarters, which was also the greatest return period for the SPX, up 146.88%. The other two instances were from June 1962 to March 1965 at 11 consecutive quarters and the stint from September 1953 to March 1956 at 10 consecutive quarters. Both of those times were able to produce strong performance numbers as well at 57.37% and 107.62% respectively. Use the table below as a reference point. 3.Can Investors Make Money in a U.S.-China Trade War? New trade barriers could spur a shift in traditional trading relationships. China would be likely to rethink its trade alliances in the region and get closer to partners in Southeast Asia, Latin America and the European Union (EU). In particular, China would seek new sources for products that it currently imports heavily from the US. Examples include aircraft and parts; pork, which is in plentiful supply across parts of Latin America and Asia; and soybeans (Display). The US imports a wide variety of products from China (Display). A dramatic shift in the trading relationship would have the potential to redraw the supply chains that have become the backbone of the global technology industry—and vital for US manufacturers. For example, consider Apple’s manufacturing of the iPhone in China. Many components are produced in China by South Korean and Taiwanese companies, which could transport their operations elsewhere in the region. 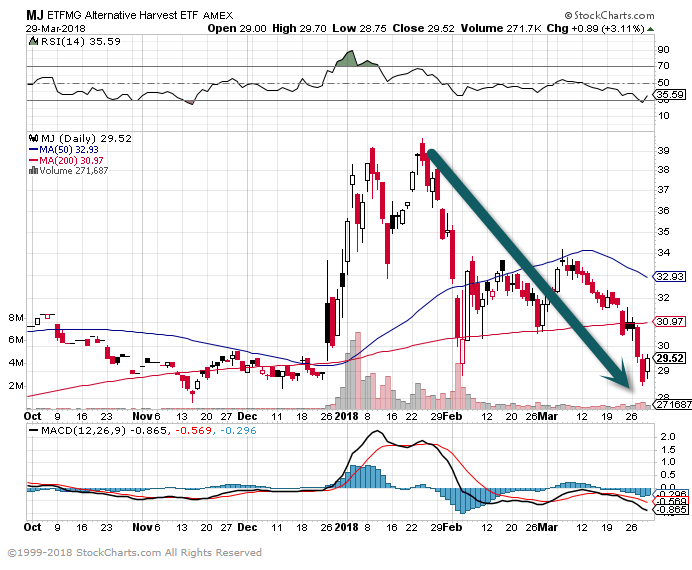 4.Pot ETF 25% Off Highs. Barrons Story on Pot Stock High Valuations. 5.Homebuilders Trailing S&P On Sell Off. Will there be a Millenial Housing Bull? Homebuilder ETF Correction Territory….12% Off Highs. 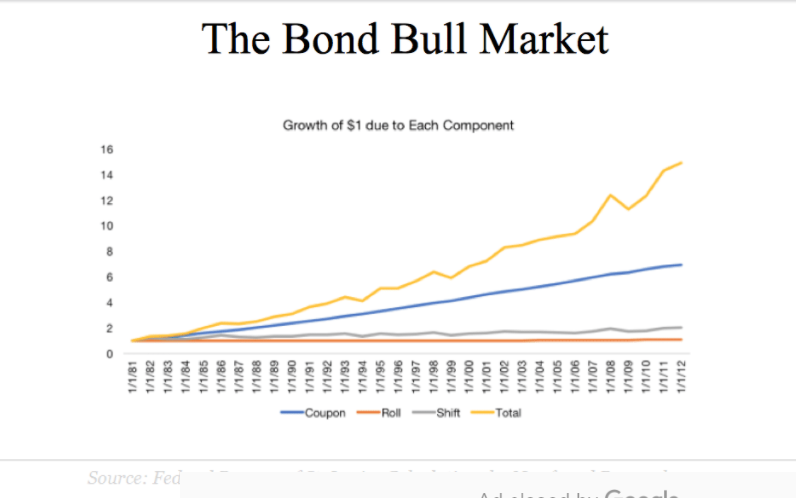 6.Even in Massive 35 Year Bond Bull Market Most of the Gains Come from the Coupon. Yes, in a rising rate environment there would be a decline of principal for bond investors at first, but the higher yields on offer ultimately swamp that initial decline. In fact, when you look back at the source of investor returns in bonds since the inception of the bull market (early 1980’s), it turns out that almost all of the return came from the coupon or yield – and very little actually came from capital gains (bonds rising in price). 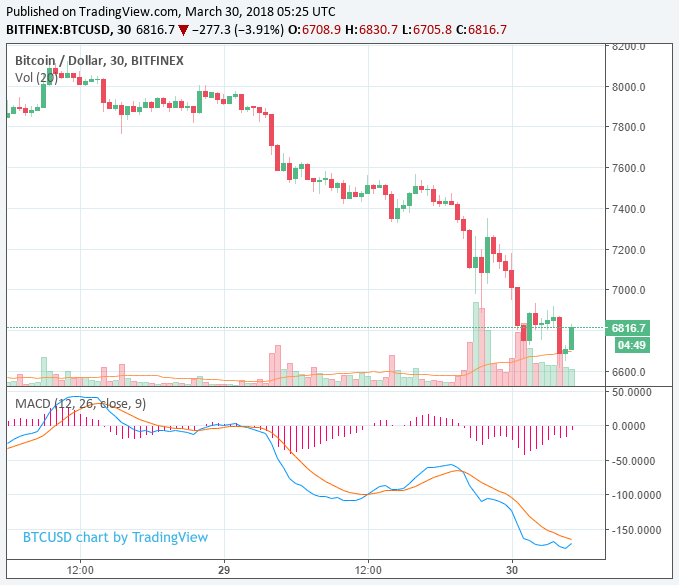 7.Entire Crypto Market Valuation Dropped $100 Billion Last Week….Regulation and a Futures Market to Short Changed Crypto Forever. 8.Where is Globalization Most Unpopular? Shockingly in the Freest of Markets? U.S. and U.K. 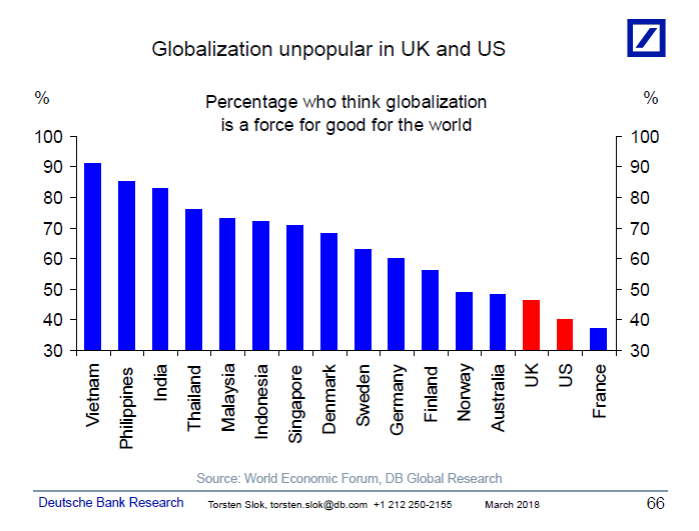 Globalization is very unpopular among voters in the US, UK, and France, see chart below. Tech startups aren’t the only ones in Silicon Valley that want to be unicorns. More and more VC firms are seeking to raise new funds of at least $1 billion, either for new flagships or growth-focused sidecars. Why it matters: The last time we saw such a trend was during the dotcom era’s waning days. Startups are staying private longer, thus requiring more capital. VCs need deeper pockets to at least avoid major dilution. Even Sequoia Capital has seen its original Airbnb ownership fall from 20% to around 13%, per a source. SoftBank, even though none of these new funds is really seeking to compete with it. There has been intense valuation inflation for venerable tech stocks —yes, even compared to the bubble days — so private valuations are really just following their public market peers. There are viable markets for new tech product (i.e., the startups aren’t ahead of consumer and enterprise demand/willingness to try). Increased fund sizes in 2000-2002 were to write bigger checks for the same early-stage strategies, whereas this time it’s for complimentary strategies. Everyone is still judged on comparative returns, so individual funds won’t be exorcised for broad-based growth-stage carnage. 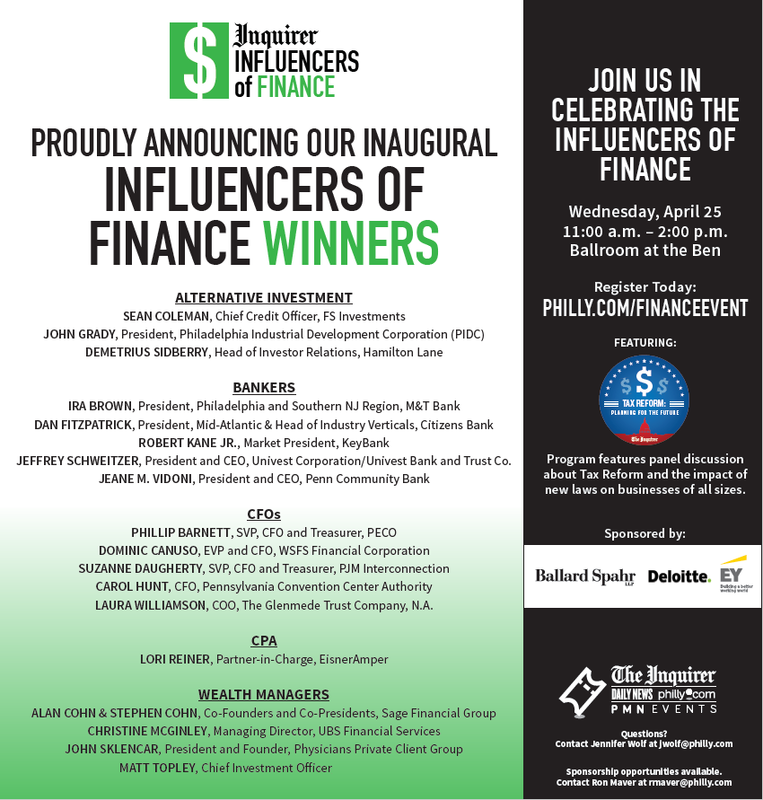 Fund capital is widely available, in part, because of a reverse denominator effect. The business just looks so easy right now, which is why so many novices (and corporates) are pushing in. Overcapitalizing startups hasn’t become any smarter of an ROI strategy. Fund size tails will wag check size dogs, no matter how often VCs tell themselves they won’t. Bottom line: We won’t know who’s right for at least five years, if not longer. But for now we do know that the stakes have become much, much higher. Don’t be boring; being boring is a sin. All tasks expand to their allotted time, so block out your time. It’s easy to give advice, but hard to follow. Learn to follow. These TWO self-sabotaging words can destroy you. NEVER use them. Take advantage of the potential others see in you. Have difficult conversations. They’re important.